Zayn Malik has quit One Direction. The 22-year-old star left the group's On the Road Again Tour last week after photos emerged of him holding hands with a female in Thailand earlier this month, despite him being engaged to Little Mix singe Perrie Edwards. He was signed off with stress and has jetted back to the UK to recuperate. However, the group - also consisting of Harry Styles, Liam Payne, Louis Tomlinson and Niall Horan - have now confirmed Zayn has decided to go his own way. In a heart-felt post uploaded onto Facebook, Zayn has explained his decision. "My life with One Direction has been more than I could ever have imagined. But, after five years, I feel like it is now the right time for me to leave the band. I'd like to apologise to the fans if I've let anyone down, but I have to do what feels right in my heart," he writes. "I am leaving because I want to be a normal 22-year-old who is able to relax and have some private time out of the spotlight. I know I have four friends for life in Louis, Liam, Harry and Niall. I know they will continue to be the best band in the world." The group formed on The X Factor UK in 2010 after auditioning as solo artists and will now continue as a four piece as they finish up their shows and record their fifth album, which is due out later this year. 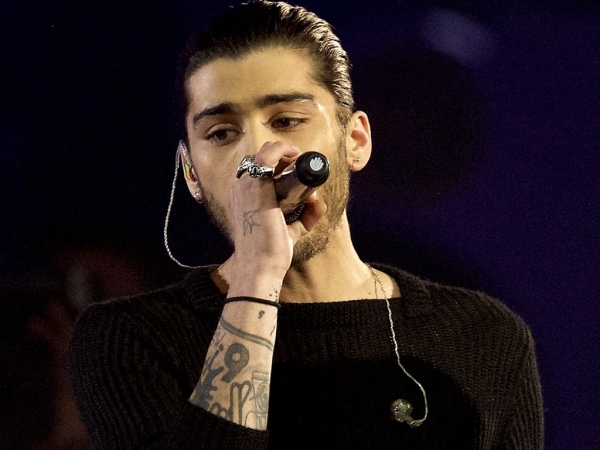 Zayn's bandmates also shared some kind words of support for their pal. "We're really sad to see Zayn go, but we totally respect his decision and send him all our love for the future. The past five years have been beyond amazing, we've gone through so much together, so we will always be friends. The four of us will now continue. We're looking forward to recording the new album and seeing all the fans on the next stage of the world tour," they added. Simon Cowell, who signed them to his label Syco following their stint on the show, spoke out too. He began by thanking Zayn for his contribution to the hit group and continued to note how proud he is of the handsome star. "I have seen him grow in confidence and I am truly sorry to see him leave. As for One Direction, fans can rest assured that Niall, Liam, Harry and Louis are hugely excited about the future of the band," Simon said. Zayn's younger sister Waliyha updated fans on how her brother is doing via a post on Instagram at the end of last week. She reminded people that he's still "human" and is hurting from the rumours that he's been unfaithful to Perrie.